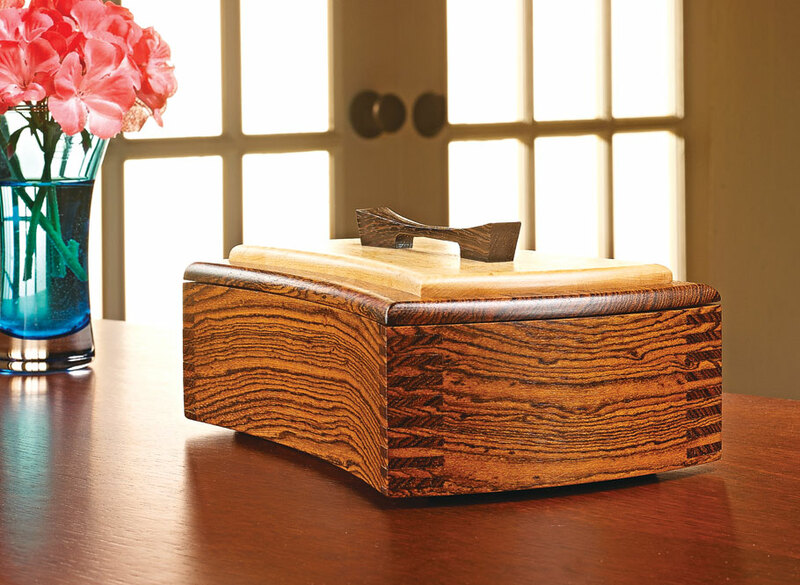 Graceful curves and fine details are at the heart of this unique box. But don’t be fooled by its looks — construction is easier than you think. 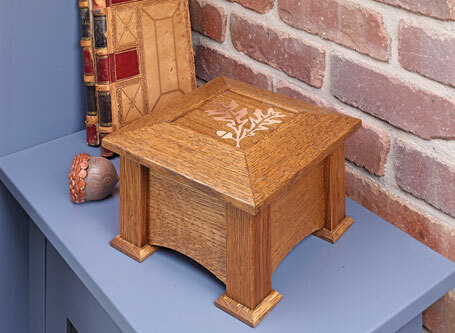 This beautiful keepsake box makes a great gift. 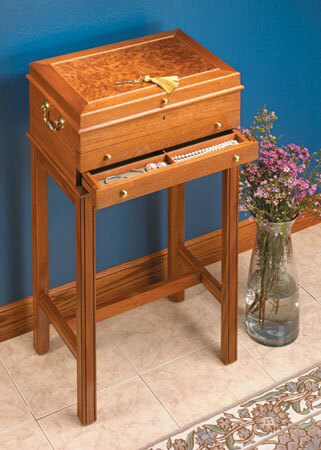 Because it’s so small, it’s easy to splurge on highly figured or exotic wood without spending a fortune. 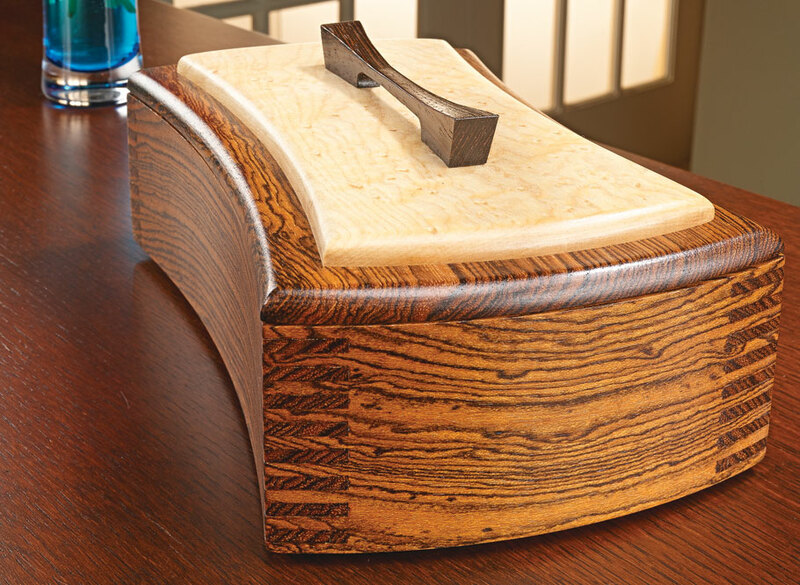 The curved sides and ends add an interesting design element, too. And it’s crafted with a snug-fitting capped lid. But perhaps the most interesting feature is the intricate-looking finger joints connecting the corners of the box. They appear wider on the ends than on the sides, but in reality, they’re formed at the table saw while the box is square. The curved, profile cuts made later create this unique, asymmetrical illusion. 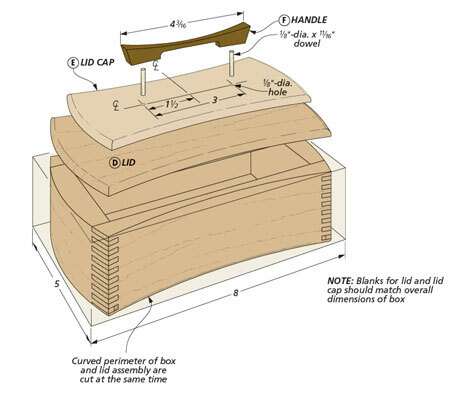 The box may appear complicated to build, but the construction is pretty straightforward. 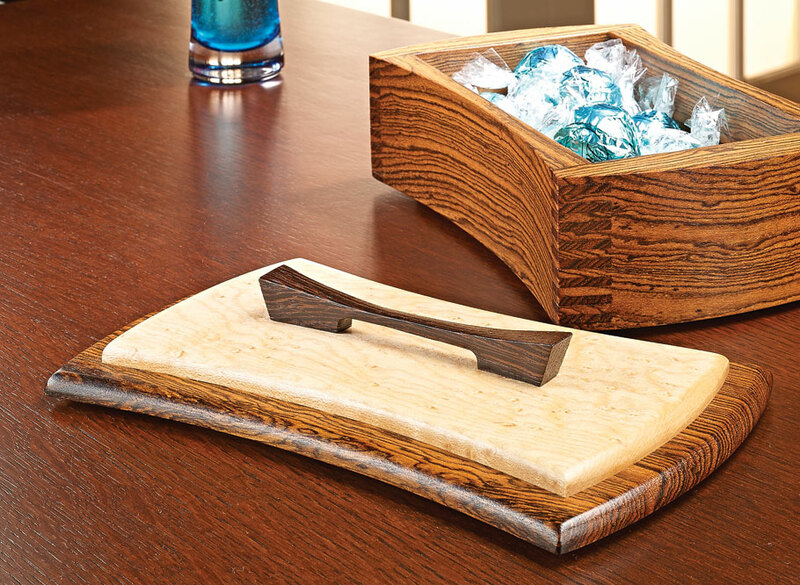 This desktop organizer is small in size but big in function. 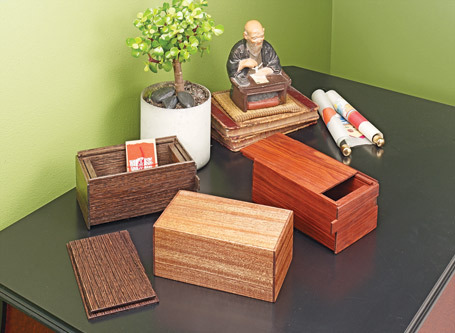 Its compact storage keeps your writing supplies in one convenient place.